This story really hits hard. Laura has a secret that she has never told anyone. When she was twelve he said she was special. What they did was special and she mustn’t ever tell. She never had told anyone until now. She knew what he was now and she knew that look, but it wasn’t at her it was at another little girl. Could she save her? Oh wow! This crept under my skin and made it crawl. 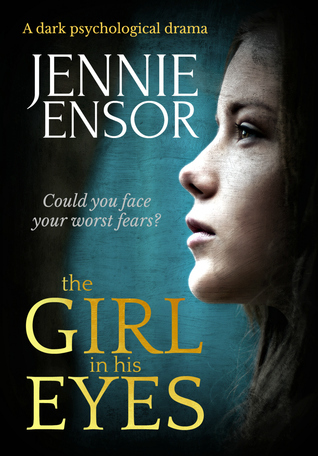 Jennie Ensor takes you into the mind of an innocent child, a damaged woman and that of a man with a compulsion that he can’t keep under control. It left me in no doubt about what happens but she skillfully lead me to a point that my own imagination took over at the most heart breaking points and then to the aftermath of how it affected everyone. The reasoning and blame as each saw it. This must be one of the most difficult subjects to write about and yet Jennie nails it from every side. All of them living a lie to protect someone, even the abuser as he lies to himself to justify his actions, the only way to live with what he does. The story goes back into the past to when Laura was twelve but the real focus of the story is on Emma. Can she be saved from the same ordeal, or worse? The story is tension fuelled from the start but has Laura the courage to face her past or can her step-dad control what he desires more than anything. The alternative doesn’t bear thinking about …………………. Jennie will set on fire every emotion in you because you will feel it through her characters including the shame. The shame that the victims shoulder that it must be their fault and the shame of the abuser for being found out, not for what they have done.